I feel like so much of what is spoken about in the ‘community’ realm is recycled news, voices and topics. Sure, this industry is older than all of us, and we’re all operating on most of the same principles, but the breadth of this industry goes beyond start-ups and tech. Community Signal is one of the few outlets that I can think of that conveys this breadth and diversity. Again, your listeners already know this, but to me it’s a strong selling point and one of the main reasons why I listen and am always eager to share it. I listen to Community Signal every single week. Patrick covers the community management issues that affect me and my position, and his advice – and that of his guests – has helped shape my own community management style. I’ve learned how to effectively communicate certain rules and policies that my community shares with other online communities, through advice given on Community Signal, and anxiously await each new episode. Patrick’s easy conversation style makes me feel like a part of the chat, and I swear he reads my mind when he asks followup questions. 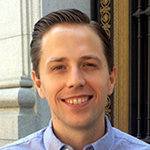 He’s a great interviewer, and is obviously extremely passionate about community management. I love Community Signal. As a newcomer to the community management space, I have been a bit overwhelmed on where to focus my attention or what I should even be considering is possible within communities. Community Signal has not only helped me define the space and my role, but also has fed my need for exploration. The podcast is well put together, professional and always interesting. I always take away at least a few thoughts that I can directly apply to my real world use cases for my role as a community manager. 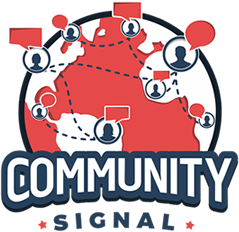 Community Signal is my go-to place to hear about the power and potential of community management. I’m currently developing and re-shaping an online community at a nonprofit, so hearing from professionals who have insight into the challenges we’re facing has been like gold dust. Community Signal is an essential listen for anyone who works to bring people together around what they do. It’s constant message is a vital one: We are not alone!